A BIAA webinar featuring Brent E. Masel, M.D. Aired live January 13, 2016. In 2009, the Brain Injury Association of America encouraged the field of rehabilitation to embrace the concept that traumatic brain injury is the beginning of a lifelong chronic condition and disease causative/accelerative process. Dr. Brent Masel was instrumental in disseminating information about this concept in 2009 and, along with Dr. Douglas DeWitt, authored a Journal of Neurotrauma article in 2010, advancing the premise. 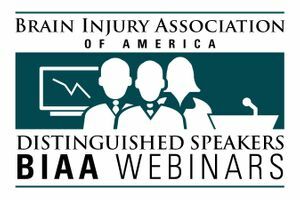 Dr. Masel returns to BIAA's webinar platform to update attendees on progress in science, medicine, and rehabilitative practice.